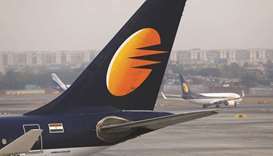 A revival of Jet Airways India Ltd, once the nation’s biggest carrier by market value, is at risk as days roll by since its operations were completely halted. 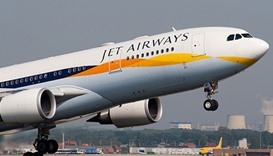 India's Jet Airways has been forced to ground more than three quarters of its fleet after failing to pay lessors, as the debt-laden carrier struggles to secure bailout funds promised by state-run banks. 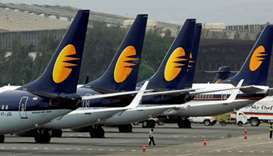 Shareholders of the beleaguered Jet Airways have approved a proposal to convert a part of company's loans into shares with an overwhelming majority. 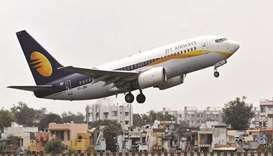 Jet Airways creditor State Bank of India is likely to own 15% of the airline if the cash-strapped carrier's plan for a debt-for-equity swap is approved, Indian TV channels reported on Tuesday. 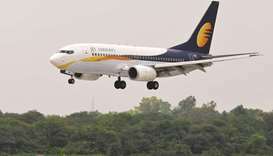 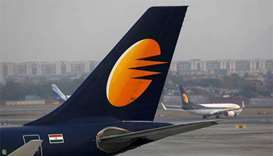 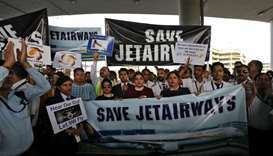 The Jet Airways flight to Jaipur had to turn back as the alarming symptoms became apparent, the airline said. 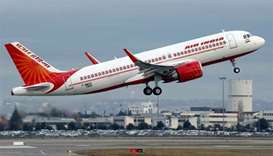 Jet Airways and state-owned Air India are struggling to stem losses in the world's fastest-growing domestic aviation market.